Our course structure is highly flexible, giving students the power to extend and add features for a custom learning environment. Our site gives students control over their own data protection, accuracy and authenticity systems. Study anytime and anywhere: Students only need internet connection and a working device to start learning. Our courses include Acupuncture and Massage Therapy continuing educations, practice exams and ebooks, so our students learn better and faster. (3 CEUs) (Acupuncturists) (online) (general). CE Broker Tracking #: 20-601236. COURSE TYPE: Anytime Course. DELIVERY METHOD: Computer-Based Training (ie: online courses), Price: $30.00 USD. 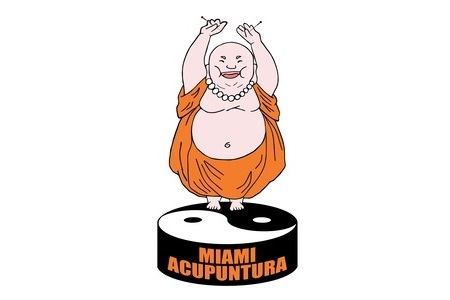 (5 CEUs) (Acupuncturists) (online) (general). CE Broker Tracking #: 20-601188. COURSE TYPE: Anytime Course. DELIVERY METHOD: Computer-Based Training (ie: online courses). Price: $50.00 USD. (5 CEUs) (Acupuncturists) (online) (general). CE Broker Tracking #: 20-572365. COURSE TYPE: Anytime Course. DELIVERY METHOD: Computer-Based Training (ie: online courses). Price: $50.00 USD. CE Broker Tracking #: 20-655341. CREDITS 2. Type: Anytime. Delivery Method: Computer-Based Training (ie: online courses). Price: $20.00 USD. CE Broker Tracking #: 20-655339. CREDITS 2. Type: Anytime. Delivery Method: Computer-Based Training (ie: online courses). Price: $20.00 USD. CE Broker Tracking #: 20-655337. CREDITS 2. Type: Anytime. Delivery Method: Computer-Based Training (ie: online courses). Price: $20.00 USD. (1) Florida Laws (12 Credits). (2) Introduction to Hand Reflexology (6 Credits). (3) Lasser, Ultrasound & Electrotherapy (6 Credits). CE Broker Tracking #: 20-708874. CREDITS 6. Type: Live. Delivery Method: Class (opportunity for interaction with presenter/host). Price: $60.00 USD. CE Broker Tracking #: 20-708870. CREDITS 6. Type: Live. Delivery Method: Class (opportunity for interaction with presenter/host). Price: $60.00 USD. CE Broker Tracking #: 20-708866. Type: Live. CREDITS 12. Delivery Method: Class (opportunity for interaction with presenter/host). Price: $120.00 USD. CE Broker Tracking #: 20-652089. Type: Live. CREDITS 18. Delivery Method: Class (opportunity for interaction with presenter/host). Price: $180.00 USD. CE Broker Tracking #: 20-602378. CREDITS 12. Type: Live. Delivery Method: Class (opportunity for interaction with presenter/host). Price: $120.00 USD. CE Broker Tracking #: 20-572385. CREDITS 9. Type: Live. Delivery Method: Class (opportunity for interaction with presenter/host). Price: $90.00 USD. CE Broker Tracking #: 20-572375. CREDITS 9. Type: Live. Delivery Method: Class (opportunity for interaction with presenter/host). Price: $90.00 USD. CE Broker Tracking #: 20-572371. CREDITS 9. Type: Live. Delivery Method: Class (opportunity for interaction with presenter/host). Price: $90.00 USD. CE Broker Tracking #: 20-572041. COURSE TYPE: Anytime Course. CREDITS 3. DELIVERY METHOD: Computer-Based Training (ie: online courses). Price: $30.00 USD. CE Broker Tracking #: 20-570255. CREDITS 9. Type: Live. Delivery Method: Class (opportunity for interaction with presenter/host). Price: $90.00 USD. CE Broker Tracking #: 20-569633. Type: Anytime. Delivery Method: Computer-Based Training (ie: online courses). CREDITS 6. Price: $60.00 USD. CE Broker Tracking #: 20-569231. Type: Live. CREDITS 9. Delivery Method: Class (opportunity for interaction with presenter/host). Price: $90.00 USD.